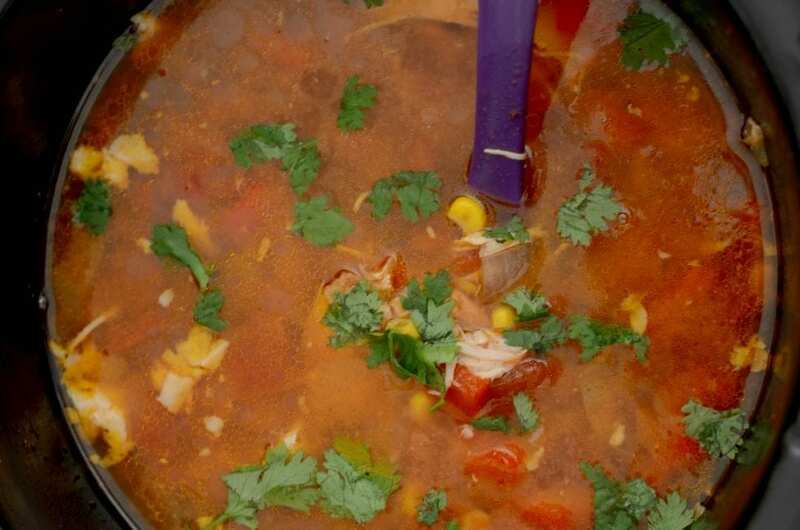 Warm up on a chilly fall night with this easy chicken tortilla soup. Just toss the ingredients in a Crock Pot and dinner is ready when you are. Who else loves soup season? Seriously, the cooler fall weather makes dinner so easy. 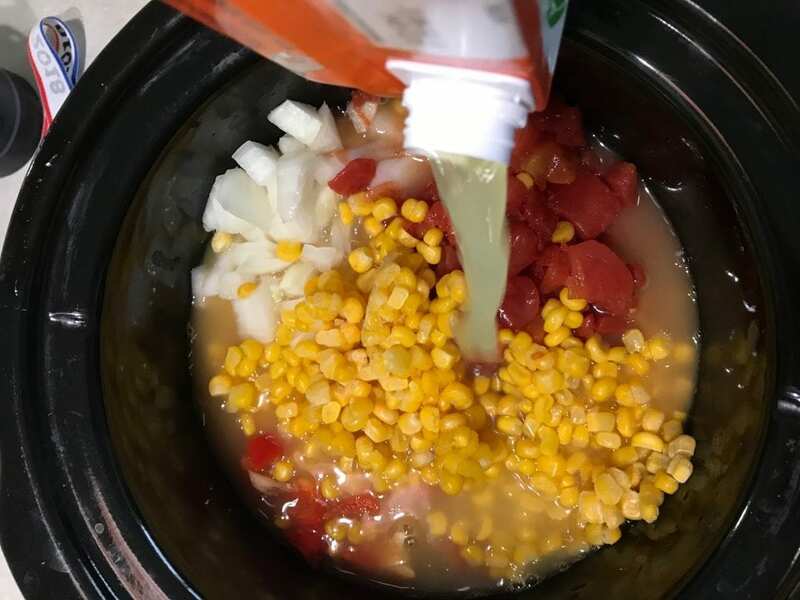 Just pop a bunch of ingredients in your Crock Pot, let it cook all day and you have a quick and easy soup dinner. Plan soup for at least one dinner each week like broccoli potato cheese soup or spinach and mushroom tortellini soup . Make extra to freeze or have for lunch the next day. 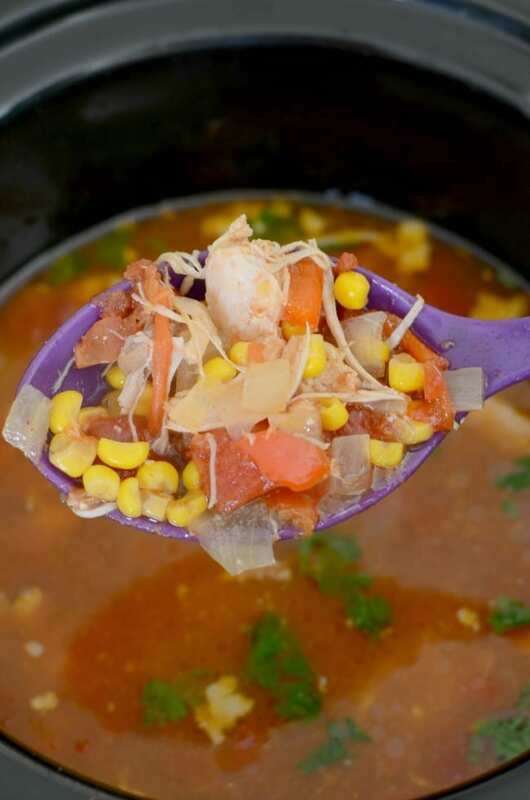 Your family will love this chicken tortilla soup. It’s like chicken tacos in a bowl! Plus you probably have most of the ingredients on hand most of the time so it’s a great dinner idea for when you’re stuck on what to make. 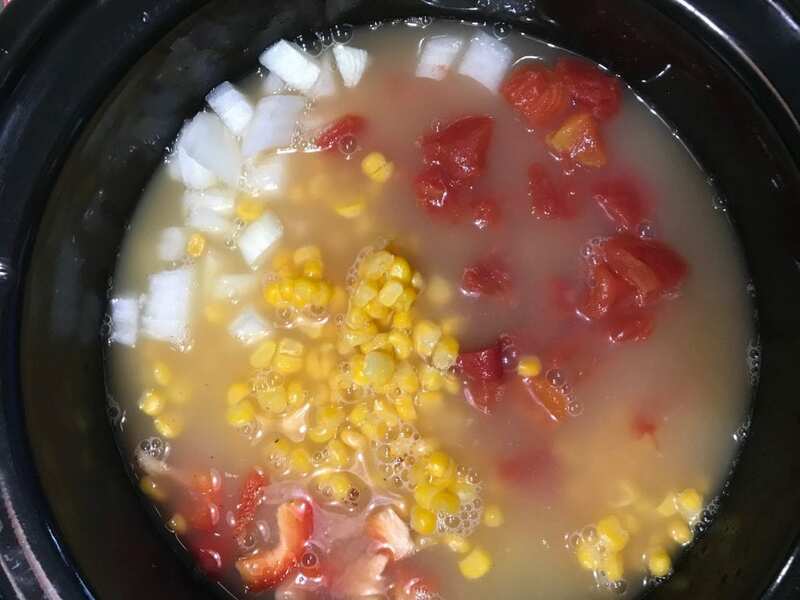 Not only is this crock pot recipe super easy to make but you also don’t need a lot of fancy ingredients. In fact, the ingredient list is full of common every day staples. When combined though, they make one great soup! We love to use chicken thighs for this crock pot soup, but chicken breasts work just as well. You only need a pound of chicken. I have used frozen and thawed chicken. The only thing that changes is the cook time. 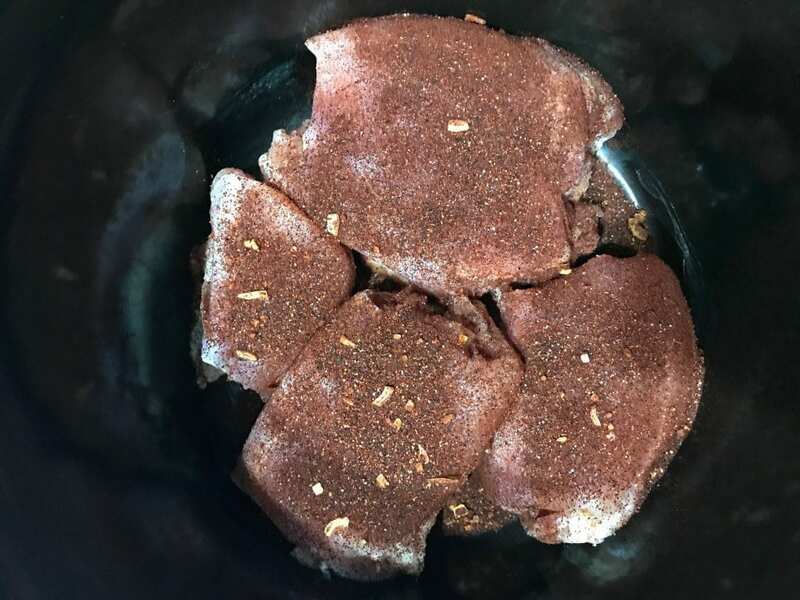 For the taco seasoning, you can use the packet or make your own homemade taco seasoning. It’s a pretty simple spice recipe and great to have on hand. Plus, it’s cheaper than the store version! When it comes to the veggies – use whatever kind of onion you have or prefer. I love sweet onion only because it doesn’t make my eyes water when I cut it. HA! 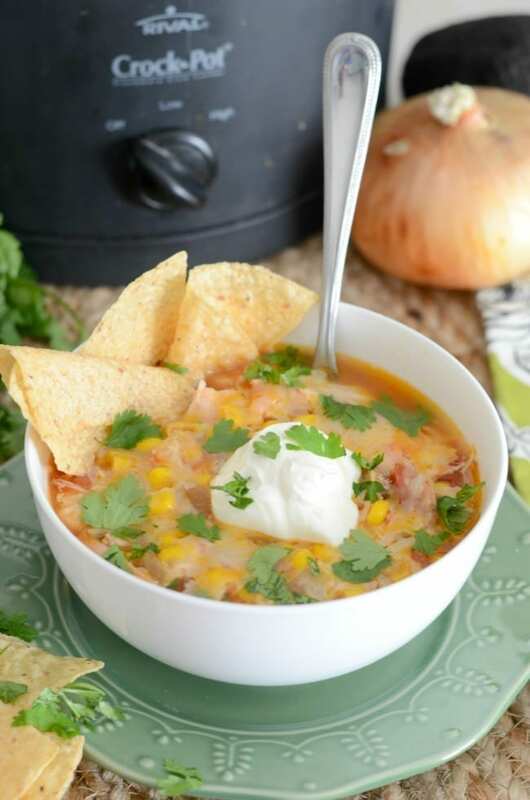 Frozen, fresh or canned corn all work great for this recipe. Place chicken in the bottom of a 6 quart Crock Pot. Cover the chicken with onion, bell pepper, diced tomatoes and corn. Stir it all together and let it cook. 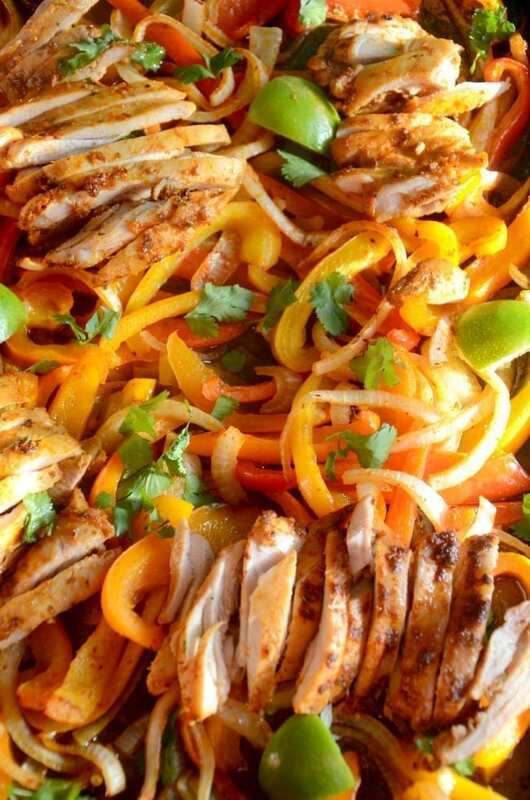 Shred your chicken and add fresh cilantro. 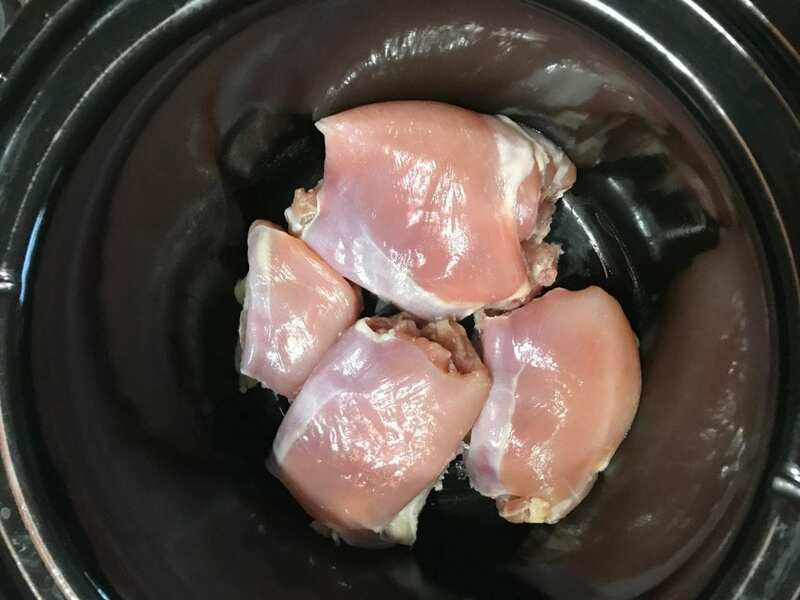 Place chicken in the bottom of a 6 quart Crock Pot. Don’t worry if you forget to thaw the chicken. You can use frozen or thawed chicken. Both boneless skinless chicken breasts or thighs will work, but thighs cook best in the slow cooker as they don’t dry out quite as much. Liberally sprinkle taco seasoning over the chicken. You can use store bought taco seasoning or make your own seasoning using this Homemade Taco Seasoning recipe. Make a batch of the seasoning and keep it in your spice pantry for quick and easy use whenever you need it. Next, cover the chicken with the onion, bell pepper, tomatoes and corn. Again, you can use fresh, frozen or canned. Whatever you have on hand will work. Finally, pour in the chicken broth. Just like the taco seasoning, you can use store bought or homemade chicken broth. Put the cover on the Crock Pot and cook. If you are using frozen chicken, cook on high for 6-8 hours. If your are using thawed chicken, cook on low for 6-8 hours or high for 4-6 hours. When the cooking time is done, shred the chicken with two forks and allow to cool slightly. At this point, you can also turn the Crock Pot on warm and let the soup sit until you’re ready to serve. 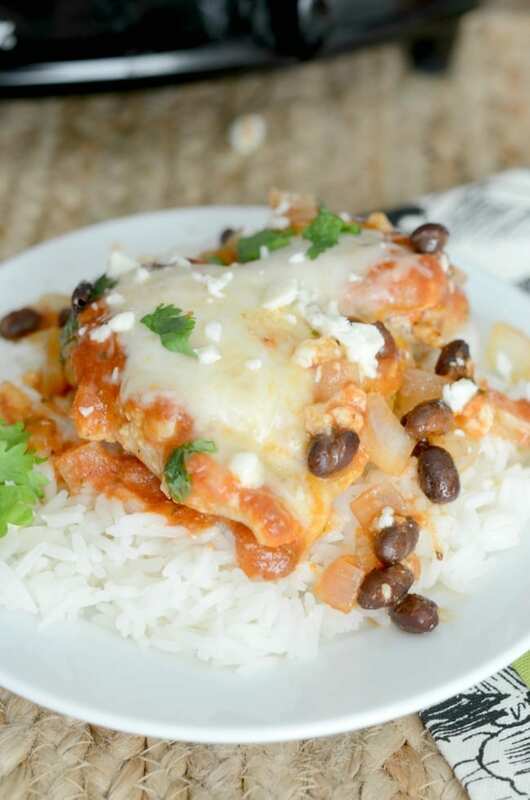 When you’re ready to eat, spoon into bowls and top with cheese, cilantro and sour cream. Serve with tortilla chips on the side for a little extra crunch. 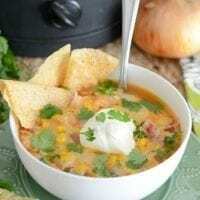 Chicken tortilla soup is a great recipe to use for a party or pot luck. It’d also be an easy dinner to make on Halloween to eat before, during or after trick or treating. 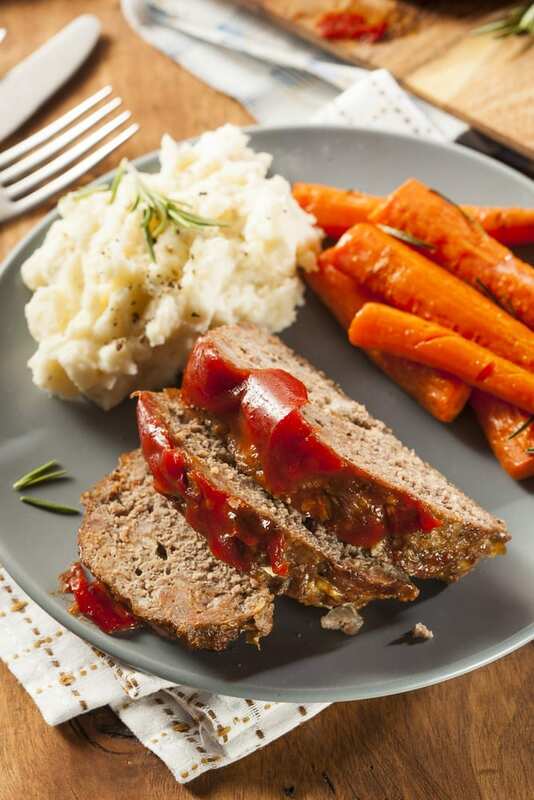 Just leave in the Crock Pot on warm for your family and friends to eat as they get hungry. 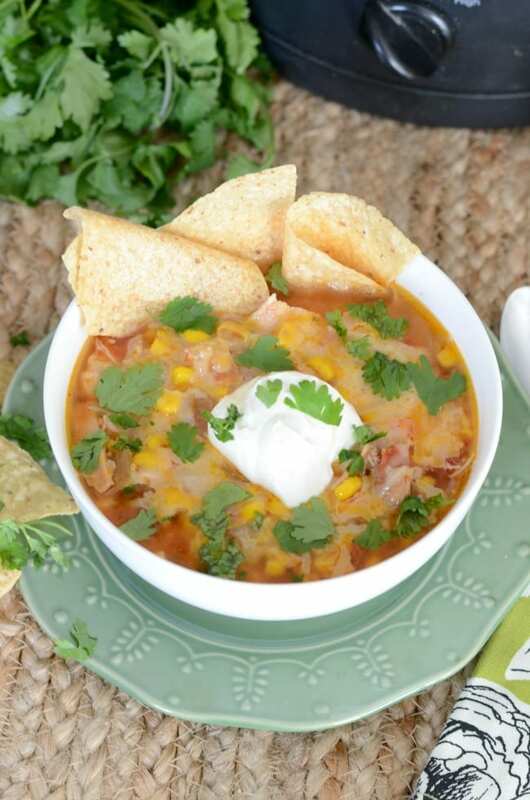 You are going to love this comforting crock pot chicken tortilla soup! Place the chicken in the bottom of the crock pot. 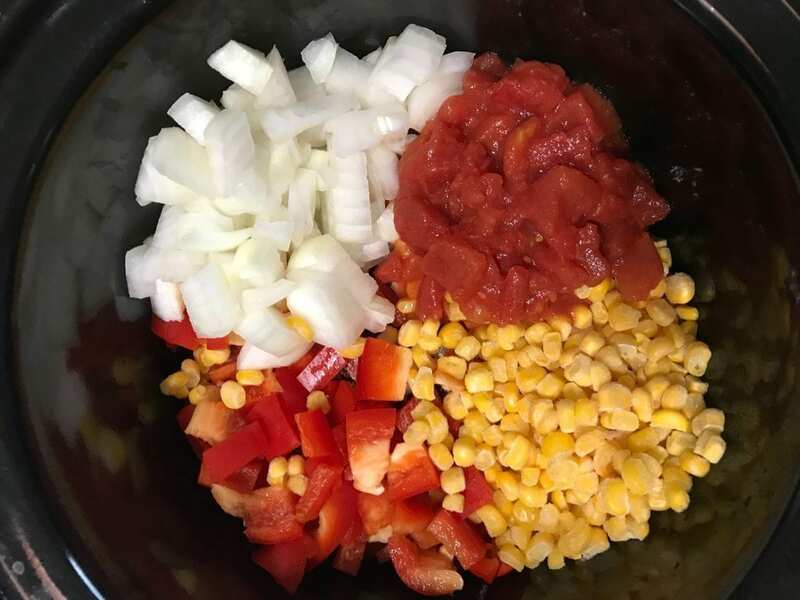 Add the taco seasoning and then the onion, bell pepper, tomatoes and corn. Cover with the chicken broth. If using frozen chicken - cook on high for 6-8 hours. If using thawed chicken - cook on low for 6-8 hours or high for 4-6 hours. Shred the chicken with two forks and allow to cool slightly. Spoon into bowls and top with cheese, cilantro and sour cream. Enjoy! Nutritional information does not include tortilla chips. It also assumes 1/4 cup of cheese and 1 tablespoon sour cream.